At the American Academy of Neurology conference this October, Dr. Harold P. Adams from the University of Iowa provided an update on the best methods for treating acute ischemic stroke. Ischemic stroke is by far the most common type of stroke, with more than 800,000 cases in the US each year. 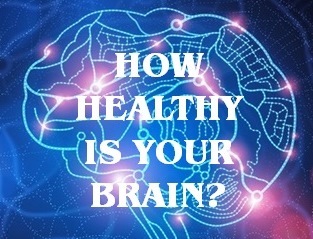 The good news is that advances in stroke treatment have improved the odds for a full recovery, especially if help is administered in the first 90 minutes after stroke signs and symptoms appear. The odds for a favorable stroke outcome decline rapidly after the first 90 minutes without effective treatment, with some modest benefit remaining if administered within 4 hours of symptom onset based on several studies. The most current ischemic stroke treatment is intravenous recombinant tissue plasminogen activator, or rt-PA. rt-PA helps dissolve the clot, usually located in an artery in the neck or brain, that is causing the stroke. A key point here is that the ideal 90 minute time window includes time to transport the patient into the hospital ER, conduct tests (including a CT scan in most cases), and then administer rt-PA. 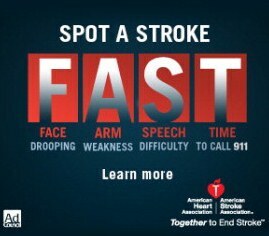 This is why knowing the most common signs of stroke are so important – minutes really do count. rt-PA treatment for ischemic stroke is still being rolled out in the US to major hospital centers in every state. Expect to see “Comprehensive Stroke Centers” in major urban centers that have passed a certification procedure. Most community and rural hospitals will need to coordinate acute care and transportation with the stroke centers. There are also some interesting pilot programs being tested with mobile stroke care units that come to the patient, rather than the other way around.